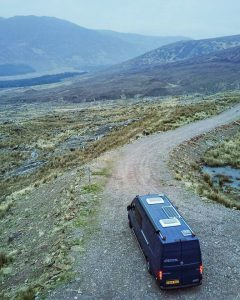 A Mclaren Sportshome conversion is a fantastic, luxurious motorhome equipped with everything you need for that next adventure whether it be for a well deserved break with the family, a welcome retreat for you and your partner or to attend a sporting event or adrenalin filled vacation with your pals. We work with each and every client to achieve their dream home on wheels, packed with your creature comforts such as cooker, fridge, TV etc and with sumptuous seating and sleeping areas, a top grade shower and if needed a garage for your bikes or even go-karts. Colour schemes, interior finishes and exterior accessories are all chosen by you to get the look you want. We use Mercedes Sprinters or VW Crafters and usually we source them from new or you can often bring your own. Nothing beats setting off out on that adventure your ready for as and when you please and with your very own sportshome conversion you can do just that, go where you want when you want and do what you want. Our new Savage is a fantastic creation, designed and built by our team its a new generation of sportshomes from Mclaren and its ram packed with kit. Take a look at it here. To speak with us about your sportshomes conversion or luxury motorhome call us today or fill in the form on our website.